I have a grandson who LOVES eggnog AND french toast... this is the perfect combination for a surprise breakfast for him and grandpa! Thanks! Wow, that would be fabulous for Christmas morning!! Looks wonderful...I''m sold out, will have to try this one sooooon :) Thanks for sharing the idea! Um... brilliant! I am passing this recipe along to my husband who is the breakfast king. 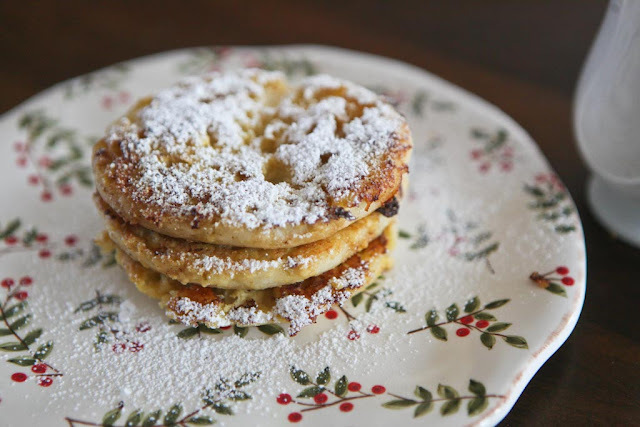 English muffins and eggnog with french toast- yes please! I never thought about using egg nog for french toast. I made egg nog pancakes a couple of weeks ago and they didn't turn out so well. Next milk delivery I'll get some more and we'll try french toast. Jaime, this sounds fantastic! And looks yummy too. Thanks so much for the idea.